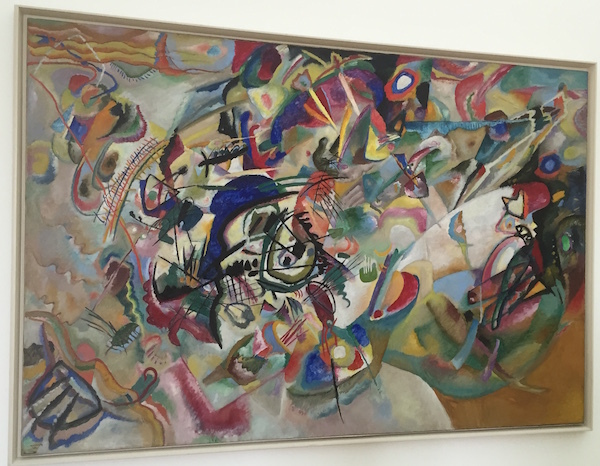 I find this fascinating because it makes me realize that what Kandinsky and the Blaue Ritter group were trying to achieve through art and music a century ago is exactly what we are trying to achieve in the world of psychology or inner inquiry, through Life Purpose Hand Analysis, or specifically Ungarian hand analysis. We are attempting to separate spirit (content) from matter (form) and explore how the two impact and interact with each other within an individual psyche. I think it is useful to think of different types of hand reading in the same way one regards different styles of art. They are all quite different, and preference is a matter of personal taste. For example, would you prefer a landscape painted in the style of the 14th Century or would you prefer a more contemporary perspective? Whatever your preference, each is an attempt at a portrait of a person, or a glimpse at the interior landscape of their world. It is one person’s perception of the interior world of another, expressed through radically different styles and perspectives. It is important to remember that we are looking at a reflection. Perhaps even a reflection of a reflection. “The artist must train not only his eye but also his soul” said Kandinsky. The same applies to artists of hand analysis. Are you a clear calm lake, faithfully reflecting the divinity of your client? Or is your mind a storm that adds more clouds and ripples than were there before? Thanks for sharing a informative article with us. Keep it up.